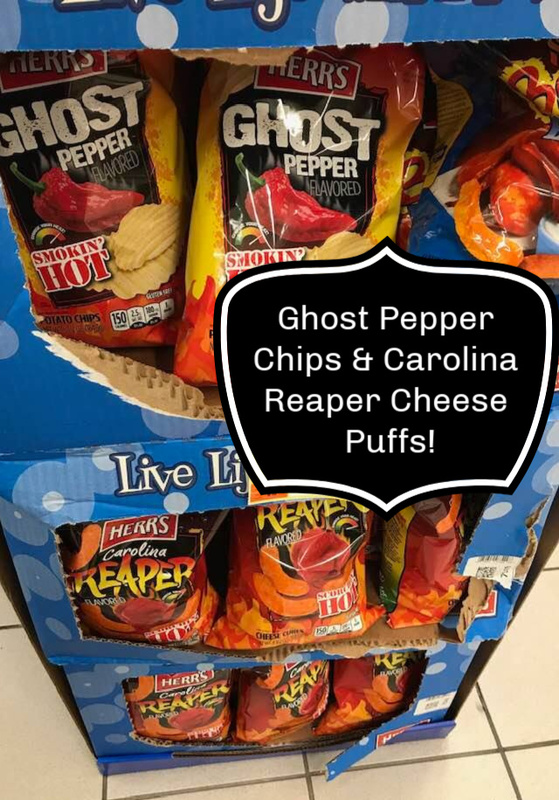 If you enjoy hot and spicy foods, you may want to try one of these flavors of snacks from Herr's. They have Ghost Pepper Potato Chips, which my husband and I liked but felt they weren't "that hot". Next day we tried the Carolina Reaper Cheese Puffs, which were SO hot! My hubby doesn't like cheese curls either, but he enjoyed these. I found these at Tops Markets and they are on sale through at least 11/17 for $2.50 a bag.